I think the cold weather I experienced on Saturday at Wigan has followed me south because it is freezing this morning. I think winter has finally arrived and it's time to break out the gloves and scarf. One place you would expect the weather to be a lot warmer is in Greece where Arsene Wenger and his 18-man-squad arrived for our final Champions League group game. Already through to the knock out stages, the manager has been able to leave the likes of captain Robin van Persie, Theo Walcott, Gervinho, Aaron Ramsey, Alex Song, Mikel Arteta, Per Mertesacker, Laurent Koscielny and Wojciech Szczesny at home to prepare for Saturday's match with Everton. And with it being the day we celebrate our 125th anniversary, one of those players will be having to bake the birthday cake, after all the manager can't do everything! So with very much a league cup squad making the two hour flight, there is nothing more on the manager's mind but a victory. We don't need to win but it would be nice. It would be a nice result for Wenger to have as he celebrates the milestone of taking charge of 200 matches in Europe tonight. Just two players who started against Wigan have traveled: Thomas Vermaelen, who is set to captain the team tonight, and Andre Santos. The manager has indicated he'll play an experienced back defence with a springing of younger talent throughout the side. That should mean starts for the likes of Emmanuel Frimpong, Francais Coquelin and Alex Oxlade Chamberlain. Subs: Mannone, Yennaris, Miquel, Ozyakup, Eastmond, Rosicky, Park. Whilst a victory isn't needed, a good team performance is. We need to carry on where we left off at Wigan on Saturday. We had our blip last week and with important games against Everton, Manchester City and Aston Villa in the league coming up before Christmas, I think we need to ensure we don't lose confidence with a defeat. "The priority is to respect the competition and to win our game. I will go with a side who has experience and give the chance as well to some young players. We have a moral responsibility to give absolutely everything to win. "What I will do is make sure we are completely solid defensively. 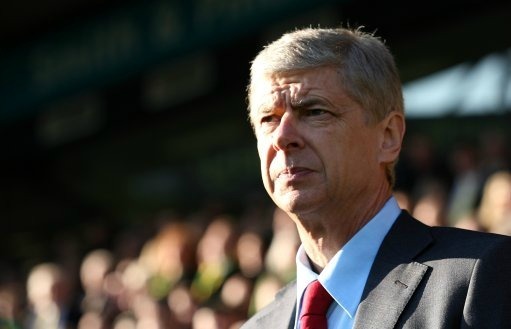 "That means I will take a very experienced defence and I will again give a chance to [Alex] Oxlade-Chamberlain, [Emanuel] Frimpong, [Marouane] Chamakh maybe." After Saturday's non appearance for The Ox, I think I'm most interested to see how he performs away from home in an intimidating atmosphere. Of course being an Arsenal player he should come through it without a hitch. But it's always a test of young player's temperaments when they are chosen to play in these European fixtures. The manager said in his press conference it's important for the other English teams to progress into the knock out stages. Many of us would like to see the other Premier League clubs knocked out, including me. Unfortunately that could harm our chances in future seasons getting into Europe's premier competition because it would reduce the number of places from four to three. It would also mean those teams would be able to concentrate on the league and the domestic cups. So for that reason, I don't mind Chelsea and the Manchester clubs progressing, if it helps us in the long run. Away from Greece and the manager has picked out Brazilian teenager Neymar as the player he'd sign if money was no object. And the Daily Mail say Ryo Miyaichi could be leaving on loan in January because French side Valenciennes want him. Personally I can't see him leaving in January because (A) he's injured and (B) why fight so hard for a work permit only to send him out on loan again after five months. Last week's league cup match was a good game, although the result didn't go our way. I'm just hoping for the same tonight in Greece. Where ever you are watching the game enjoy.